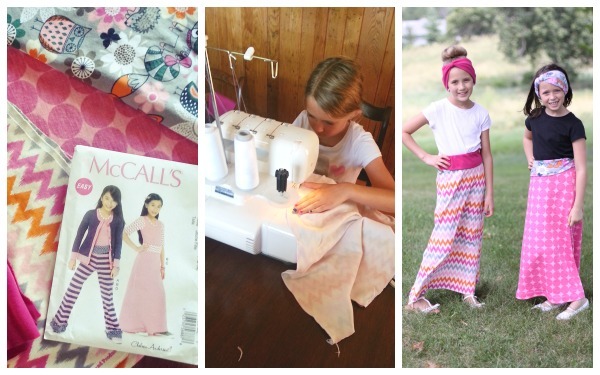 A few weeks ago we had an extra day off school – perfect opportunity to work with the girls on sewing – and so we cranked out Girls’ Maxi Skirts in an afternoon – my kind of fun! It all started when I was browsing patterns for fun (doesn’t everyone do that?!) 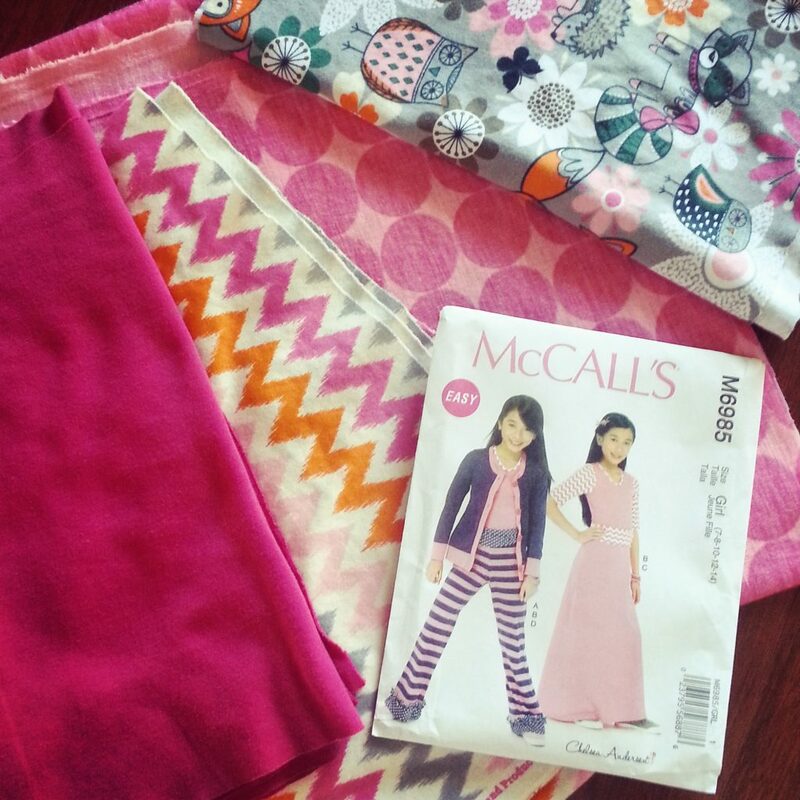 and came across McCalls M6985 – normally I would think I could just wing it on a skirt, but it looked easy and would take way less thought to just use the pattern. And then I found some super cute knit fabric too (this was at JoAnn) so it was meant to be. 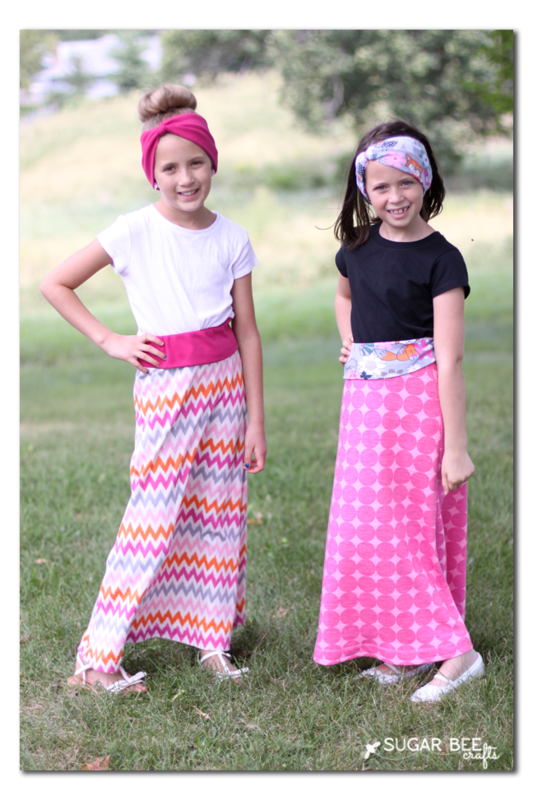 I love the fun fabric and think it paired well to the girls’ personalities – they both loved the choices. I didn’t have them at the store so I went against my general rule of having kiddos pick out their own fabric (they like sewing better when they’re vested in the project) but it worked out. 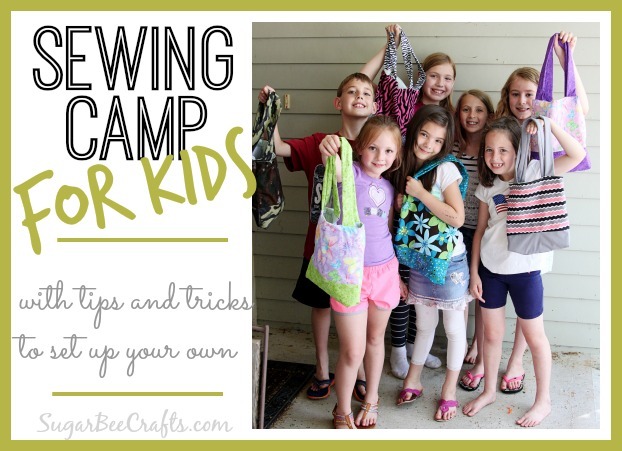 It’s just two side seams and then sticking on the waistband – I thought it’d be a fun project for them to use the serger on. It’s a fun machine to use and makes it look so nice on the inside seams. They made the skirts super quick and then ran off to play. 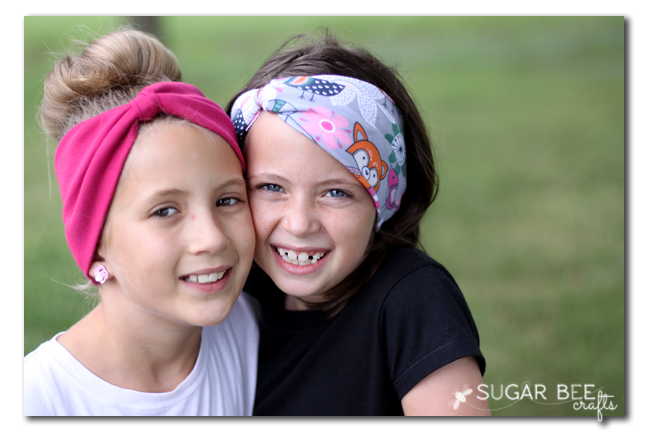 I finished up by making them a couple of matching headbands to complete the outfits. I’ve posted a tutorial about them in the past here: Knit Headband Tutorial. That’s all there is to it! 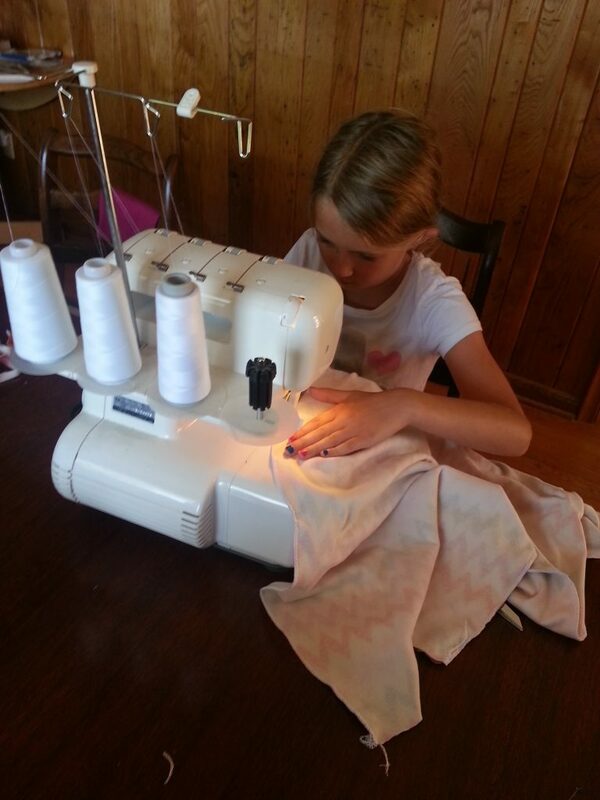 Give those kiddos the chance to sew – light that spark. 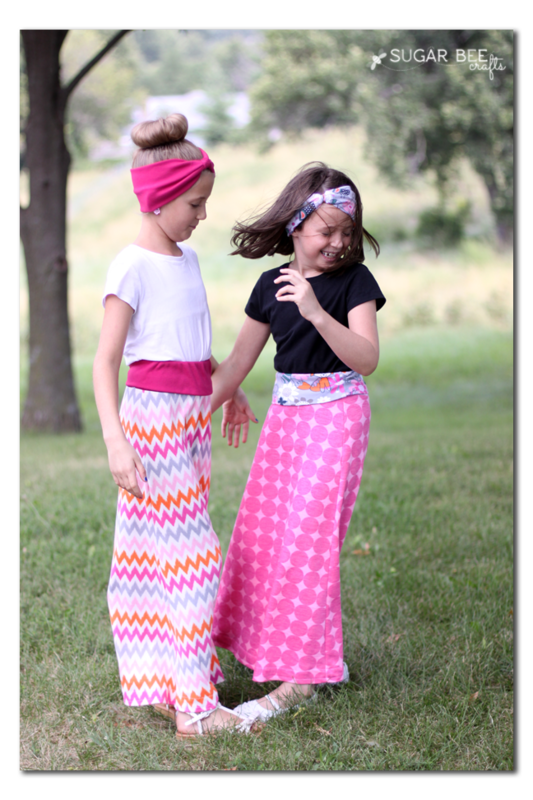 I love those maxi skirts! I’ve never been good at crafty stuff like this, but you make it look super easy! Jennifer recently posted…A Fabulous Fall Giveaway! you could totally make them – it’s a great starter project!